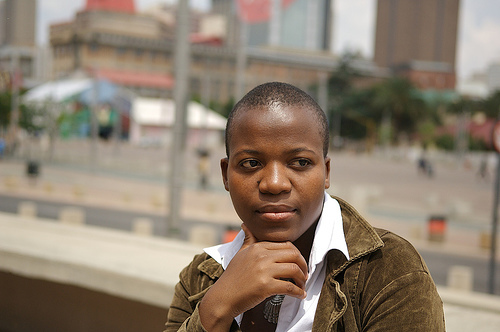 Zukiswa was born in Zambia to a South African father and a Zimbabwean mother. Her mother claims that she has been rebellious ever since her birth at the momentous time of the Soweto Uprisings. Her primary and high school education was undertaken in Zimbabwe and studied journalism undergraduate degree at Hawaii Pacific University in Honolulu. Her debut novel, The Madams, published in November 2006, dealt with racial role reversals in post-apartheid South Africa. In addition to writing fiction, she has also contributed essays to Oprah, Elle and Juice magazines, and literary reviews and essays to Afropolitan and Sunday Independent. Behind Every Successful Man is her second novel. 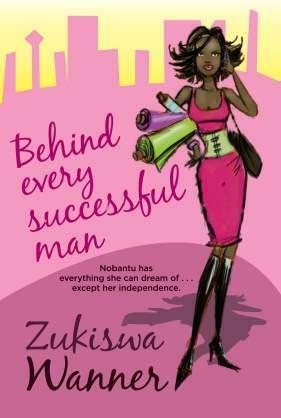 A funky, witty tale of a mother turned entrepreneur – to the great exasperation of Andile, her husband and BEE tycoon. Zukiswa is a founding member of the ReadSA initiative, a campaign encouraging South Africa to read South African works, together with other South African writers. 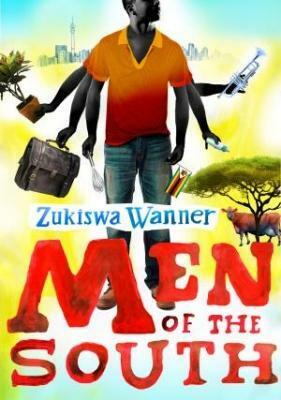 Her third novel is Men of the South and has recently been shortlisted for the 2011 Commonwealth Writers’ Prize Award. GEOSI READS: Let me start from where we ended our last personal conversation. You told me that the first thing you look for in any town you visit is a bookstore. Why? ZUKISWA WANNER: I always deceive myself that I can learn a lot about a nation through how its writers perceive it. If I am in Accra, Ghana for a week, for instance, with my writer’s limited resources, it’s cheaper to buy a book and read about the Cape Coast or Kumasi than travel there. But added to that, if I should be able to travel to the different places, it is quite interesting to compare another writer’s viewpoints with mine. Oh, and finally I look for a bookstore because I am truly and honestly just a bibliophile. GR: You also told me that you work with books the same way you work with money. This presupposes that books are very important in your life. What is it about books that make you equate it to money? ZK: Did I really? Then I suppose the answer to that one is that I am a much happier person when I have both. While I can do without either, I don’t relish doing without books or money. GR: Reading and Writing? Which of the two do you do most? Do you have any preference over the other? ZK: Definitely reading. I read at least two books a week. I write only when I have something to say. I suppose that’s why I am not on Twitter – I don’t always have something interesting to say on a daily basis. GR: At what stage in your life did you become an ardent reader? ZK: Must have been at about the age of 10. My classmates and I used to compete to see who had read the most Enid Blytons. A year later I had read all the Enid Blytons in our school library and graduated to Asenath Odaga after meeting her at the Zimbabwe International Book Fair. It was at this time that I read Orwell too. GR: What genre of books do you read most? Fiction or Non-fiction? ZK: I read both, depending on my mood. I am obsessed with writers’ and politicians’ biographies – what they both seem to have in common is a God-complex. GR: You are actively involved in an initiative meant to encourage South Africans to read South African works. How far with this initiative? Any progress? Any challenges? GR: Do you read at all times? Do you have a particular time you read? What is your reading schedule like? ZK: I read all the time. I am that woman who reads in the street while walking from one place to another, goes to bed with a book and generally sleep with the light on in case I wake up and have to continue so that I don’t stand up to switch on the light. My putting energy saver lights in my bedroom may have been a good idea for this reason if no other. GR: What is the reading culture in South Africa like? Do South Africans read? ZK: Read SA was founded on the premise that when South Africans are aware of books, they will in fact read. And I believe this. While book-buying is still not that great, reading culture has certainly improved from when my first book came out. But there is definitely room for improvement and this is where we come in. GR: Tell me about your favorite book(s)? What are you reading now? ZK: I am currently reading The Cleft by Doris Lessing. I just finished Ronald Suresh Roberts’ unauthorized biography of Nadine Gordimer. I don’t think I can point out to one book and call it my favourite. I learn a lot from each book I read and I tend to revisit many of them depending on my mood. GR: ‘The madams’ was your debut novel. What was the process of writing a first novel and how did you get published? ZK: I wrote the book, sent it to the late Doc. Bikitsha (a former journalist). He read it and gave me a list of five publishers. I sent the manuscript with some few changes and three publishers accepted them so I was lucky in that way. I suspect I was in the right place at the right time. GR: Behind Every Successful Man and Men of the South are your second and third novels respectively. Briefly, tell us about them? ZK: BESM focuses on the conspicuous consumption of the noveau rich black business class in modern day South Africa and the role that tradition/culture plays. Men of the South also visits the cultural question in contemporary SA, asking what it means to be a man and South African. The latter is written from the perspective of three males while the former is written in third person narrative from the perspective of the husband and wife in the tale. GR: Where and when do you write? Do your readings affect your writings in any particular way? ZK: I like to think my reading always affects my writing. When I read a good book, I learn from it, and when I read a not particularly impressive book, I also learn what not to do. I do my writing late at night when Joburg is at its quietest. GR: What inspires you to write? Who are you audience? ZK: Human beings. I like to think although the three books I have written have been set in South Africa with majority of black characters, the books are about the human condition. I am to question our prejudices about life and each other in a light-hearted manner that doesn’t sound preachy so that my work is accessible to a wider audience. GR: What do you seek to achieve with your writings? ZK: I don’t seek to give the answers. I rather try to pose the question so all I hope to achieve is to get people questioning their biases while also entertaining my audience. GR: Have you always wanted to become a reader, a writer or as a person actively involved in everything books? ZK: No. I think in that way, art has a way of taking over one’s life. GR: What is the publishing industry in South Africa like? Are all your books published in South Africa? What has been the reception of your books in South Africa? The publishing industry here is ‘interesting’ to say the least and that’s the most I will say about that. And yes, all my books are published in SA. GR: Where can readers get copies of your books to buy? GR: What advice do you have for upcoming writers? This entry was posted on Thursday, February 17th, 2011 at 4:30 pm and is filed under Uncategorized. You can follow any responses to this entry through the RSS 2.0 feed. You can leave a response, or trackback from your own site. Great interview Geosi. Loved everything she said. She is intelligent in her answers. I would love to read her. Definitely. Thanks Nana. Myself, have not yet read anything from her offerings…I would definitely read her someday. Great advice! And a great interview, I do hope to read her books at some point in the future. I certainly share the same opinion on her advice. Thanks too. ZK you are beautiful. Thanks for the advice . Good work done Geosi. Pat, thanks for your comment. Obviously, her advice holds much water. I met her in Nairobi…..and have also read her books. She is as interesting in person as her books are…Great interview. Thanks, Gloria for your response.